Phoenix summers require a lot of water usage, and as the temperatures rise, so does your water bill. Fortunately, cutting back can be easy, as well as save you money for months on end. We’ve put together a list of some of the easiest ways you can save. Do Plumbers Work on Fire Sprinkler Systems? Most people don’t often think about plumbers when it comes to the fire sprinkler systems found in most commercial buildings and some homes. When you consider what goes into installing a fire sprinkler system, including the necessary materials, it makes perfect sense that plumbers would be involved. 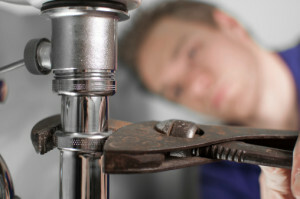 Related: How Often Should I Have My Plumbing Inspected? We hope you’ll never have to deal with the replacement of piping in the plumbing system of your home or office. Still, there are situations that come up when piping simply must be replaced such as repairing a burst pipe or older piping that has been exposed to the elements.